Damaged tooth? A dental crown can give your damaged tooth a second chance. One of the most revolutionary developments in modern dentistry is the development of the crowns. Dr. Mark Boukzam is one of the finest dentists in Deerfield Beach, FL. He offers a complete range of dental services. Here are five benefits of crowns. Dental crowns cover the teeth to restore their size, shape, strength, and improve their appearance. 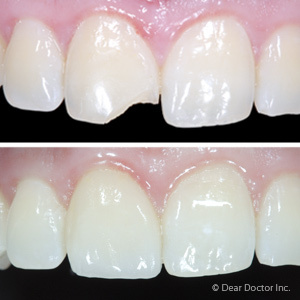 Crowns can correct chips, cracks, fractures, tooth discoloration, misshapen teeth, and more. Crowns are also used to prevent weakened teeth from deteriorating. With a porcelain crown, your dentist can take your smile from being so-so to stunning. Porcelain dental crowns can produce pleasing aesthetics. These crowns are a great choice for front teeth. Nothing gives the same depth, translucency, and luster like porcelain dental crowns. Dental crowns can give you a natural-looking smile. It's important that you have a dental crown that matches your natural teeth. 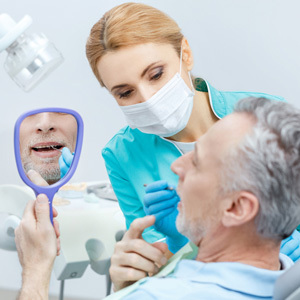 Your Deerfield Beach, FL, dentist can choose from dozens of shades to allow him or her to give you a dental crown that is better matched to the shade of your natural teeth. Dental crowns are known for their great strength and durability. Dental crowns are tough like natural tooth structure. Damaged teeth can make eating painful, interfering with oral function. Crowns restore the structure of the teeth so you can eat in comfort and with confidence. A dental crown can last many years. To achieve this goal, you will need to maintain a high level of dental hygiene. Keep your smile healthy by flossing and brushing regularly – especially around the restoration. Using a mouth rinse can also help. Remember to visit your dentist regularly for checkups and teeth cleanings. If you need a crown, why wait? Start your journey today! Call our dental office at 954-429-8506 today to schedule a consultation in Deerfield Beach, FL. With a dental crown, you can have a smile that's both strong and beautiful.